Nintendo Isn't Making a New 3DS. It's Making a New Handheld Generation. 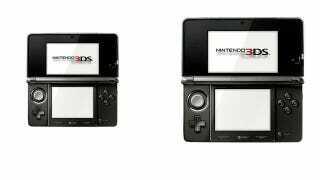 Remember all those rumors about a 3DS redesign? According to Nintendo, the company isn't concentrating on a tweaked 3DS. Instead, it's working on what will probably be a totally new handheld. Earlier this month, respected Japanese newspaper the Nikkei ran a story, which stated that Nintendo was going to reveal a new 3DS at E3. It was supposed to have a 4.3-inch screen, and there was speculation that the portable would have a second thumbstick. Nintendo called the report "speculation" and incorrect, and Nintendo did not reveal a new 3DS at the E3 gaming expo. This morning in Japan, respected newspaper Nikkei ran a story that Nintendo is unveiling a new 3DS. When website IGN asked Nintendo's Shigeru Miyamoto about the Nikkei report, the game creator replied, "I really feel like I'm satisfied with the 3DS hardware as it is. I feel like it's the best for this generation." Continuing, Miyamoto added, "What we're thinking about right now is probably going to be for a future generation of handheld."